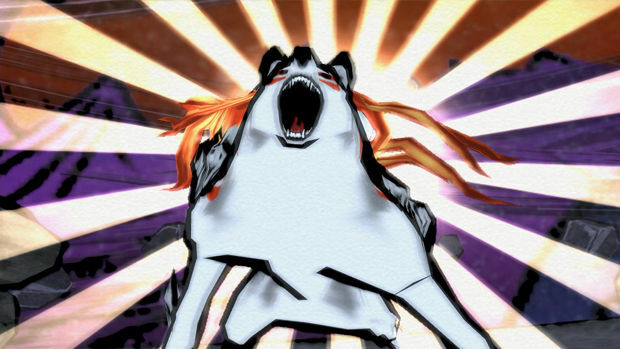 Initially released for the PlayStation 2 in the autumn of 2006, Okami, Clover Studio's penultimate release, garnered significant critical acclaim but suffered from lackluster sales. 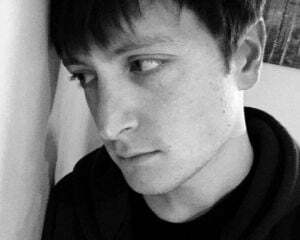 Born unto the shadow of the recently launched PlayStation 3 and Nintendo Wii platforms, the game failed to gain traction outside of a small community of fervent supporters. In 2010, Guinness recognized the game for being the "worst-performing winner of a Game of the Year accolade from a major gaming publication." And while it has gone on to spawn a sequel for the Nintendo DS, two years later, Okami is still a game searching for an audience. A fusion of tales from Japanese mythology, Okami's story follows the Shinto sun goddess, Amaterasu. When an ancient evil awakens after a century-long slumber, our canine protagonist is summoned by a spirit guardian to deliver the world from darkness. Accompanied by the sprite Issun, Amaterasu sets off on a journey to restore the land of Nippon to its former glory. Okami may not be avant-garde, but this seemingly timeworn tale is far more colorful than its synopsis lets on. This is a game steeped in tradition; a medley of Japanese legends that have been gathered and woven together. Synthesized with classic action-adventure gameplay and gorgeous cel-shaded visuals, this fabric forms what is both a beautiful and timeless tapestry. 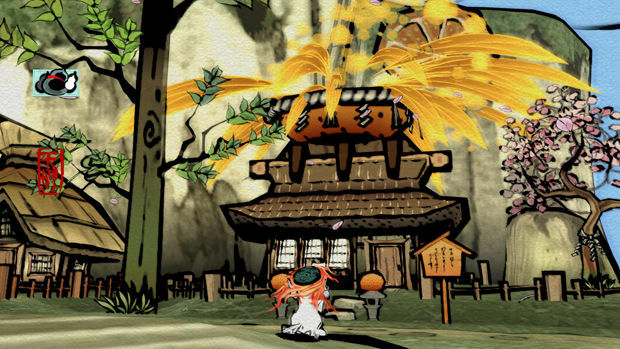 In contrast to its traditionalist roots, much of what makes Okami such a cohesive and enjoyable experience is actually a feature that is entirely unique to the game. Wielding a tool known as the Celestial Brush, Amaterasu can bring time to a standstill. Using either the PlayStation Move or an analog stick, players can draw symbols directly onscreen to conjure items and manipulate the environment. However, this isn't just a gimmick. The painterly power is the game's central thread and is fundamental to the experience. 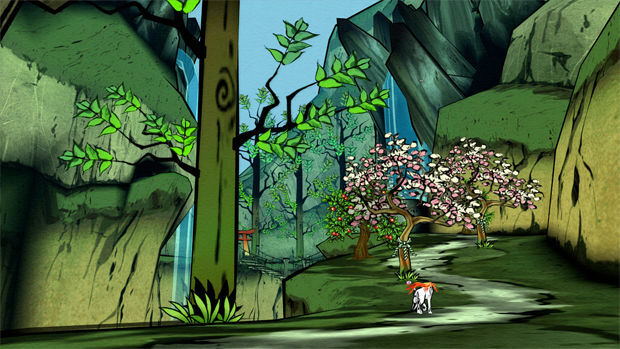 Okami's world doesn't just look like an animated Japanese ink illustration. Staring beyond the vibrant colors will reveal subtle papery textures. As a god, its fitting that Amaterasu can add to and shape this living, breathing canvas. All of these elements bleed into one another, creating bridges from the game's mesmeric aesthetics to the narrative and the gameplay itself. There are thirteen brush techniques in total which have an impact on everything from combat to platforming and puzzle-solving. Drawing a circle in the night's sky can transform dusk into dawn, whereas a crescent moon in broad daylight will have the opposite effect. With a swirling motion, Amaterasu can create wind. And countless dormant trees throughout Nippon can be revived with a quick flick of the Celestial Brush. 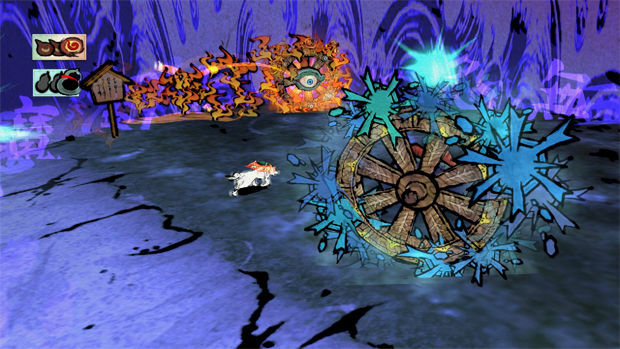 Similar to The Legend of Zelda, the series from which Okami draws much of its inspiration, these techniques are most frequently introduced in tandem with corresponding dungeons. Oftentimes, new acquisitions are as much of a key to traversing these stages as they are the silver bullet to defeating the bosses that dwell within. They also have uses when it comes to combat. While Amaterasu has quite the armory at her disposal (swords, energy whips, and even a rifle of sorts) that can be paired to create dramatically different styles of play, conjuring a well-placed bomb or landing a well-timed celestial power slash can turn the tide of battle. Other techniques have more indirect applications. For instance, blooming cherry blossom trees allows the player to earn the Praise (experience) necessary to make Amaterasu a more formidable fighter. While these light role-playing elements exist, the battles themselves take place in arcadey arenas where the player is graded on the duration and execution of the fight. The game gives monetary incentives to finishing a fight as quickly as possible, but also rewards those that mitigate damage. As one might expect, the additional capital can be put to good use by additional purchasing items and weaponry. There are also dojos scattered throughout Nippon where Amaterasu can learn new combat techniques -- for a nominal fee, of course. As for new content specific to this high-definition re-release, there isn't a whole lot here that wasn't present in the game's previous incarnations. The motion controls seen in the Wii version see a return thanks to the PlayStation Move and there are plenty of Trophies here to supplement the intrinsic joys of the game. However, one addition that really matters here is the graphical update. I'm by no means a graphics snob, but just being able to see this game in 1080p makes it well worth the price of admission. 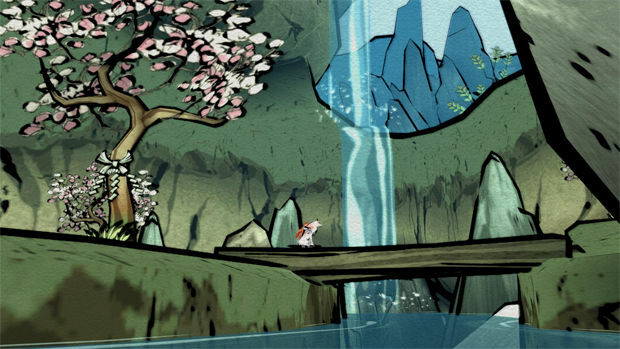 Okami HD looks so breathtaking in motion that I'm hard pressed to think of another title that rivals its sheer beauty. As wonderful as Okami can be though, it is not without its faults. There are reoccurring boss fights that do nothing to alter the experience the second or even third time around. This is already a very long game that suffers from a slow start and a meandering pace. It doesn't need additional padding. Oh, and another thing -- I know Clover Studios drew a great deal of inspiration from the Legend of Zelda series, but did they really feel the need to include a pint-sized sidekick whose soul purpose in life is to annoy you every step of the way?